In this time when consciousness i rising regarding History, Heritage and Truth,this booklet is a MUST READ. 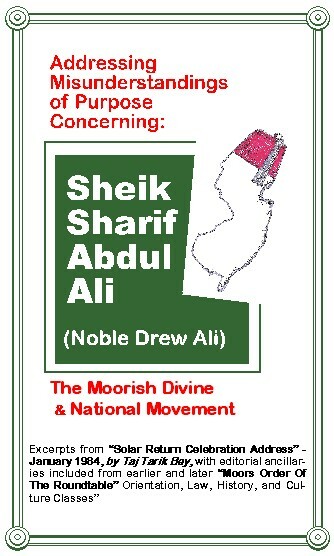 Designed to address misunderstandings regarding Sheik Sharif Abdul Ali (Noble Drew Ali) and the Moorish Divine and National Movement of the World. If you are looking to clear up concepts and answer questions, this book is for you.